Growing stuff from seeds is not something I’ve ever tried, aside from sticking toothpicks in an avocado pit and suspending it in a cup of water so it’ll sprout, but I don’t think that counts. My thumbs aren’t the greenest, but I’m willing to learn. I want tomatoes this year. I really want to have a vegetable and herb garden set up in the backyard, but until we get the fence fixed and the yard cleaned up, it’s going to remain a “someday” dream. 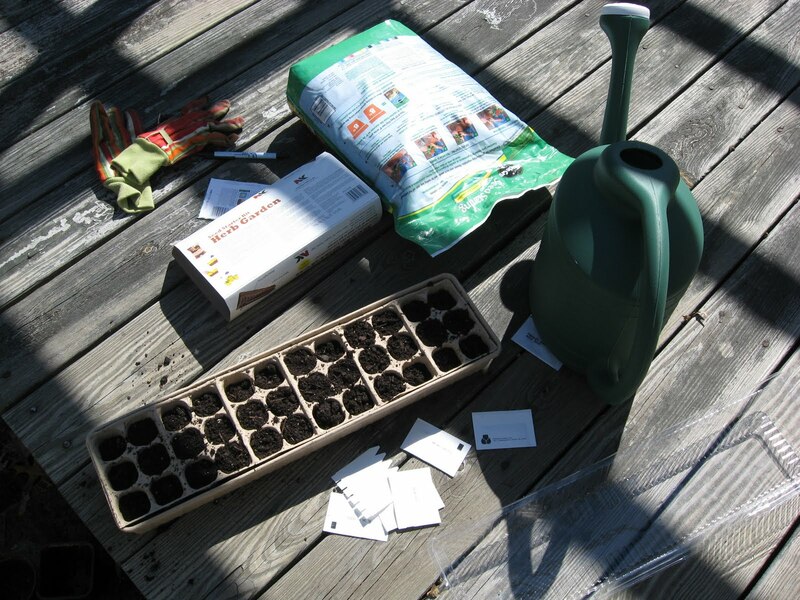 Until then, I will try container gardening on the deck or in the sunroom. I bought tomato seeds as a first step – one packet of cherry tomatoes, and one of big guys for slicing into sandwiches or caprese. I needed to start the seeds in something, and my reading online suggested that egg cartons would work well for that part, except that honestly, I wasn’t going to eat 3 dozen eggs in a month to have enough cartons handy. So I bought this neat little cardboard-and-plastic greenhouse thingy at the garden center of the hardware store, because it looked perfect and was under $5. I didn’t realize until I got it home that it came with packets of herb seeds, which is great because I’m pretty sure my herb plants from last summer didn’t survive the winter on my family room shelf! So I split up the real estate between the herbs and tomatoes, and we’ll see what survives. I got set up on the back deck with my supplies. I didn’t buy special seed-starting mix, so I used my Miracle-Gro potting soil instead. If the mutant lavender plants from our old house were anything to go by, my cherry tomatoes will be beefsteaks and my big tomatoes will be watermelons. The seeds were tiny. Very tiny. 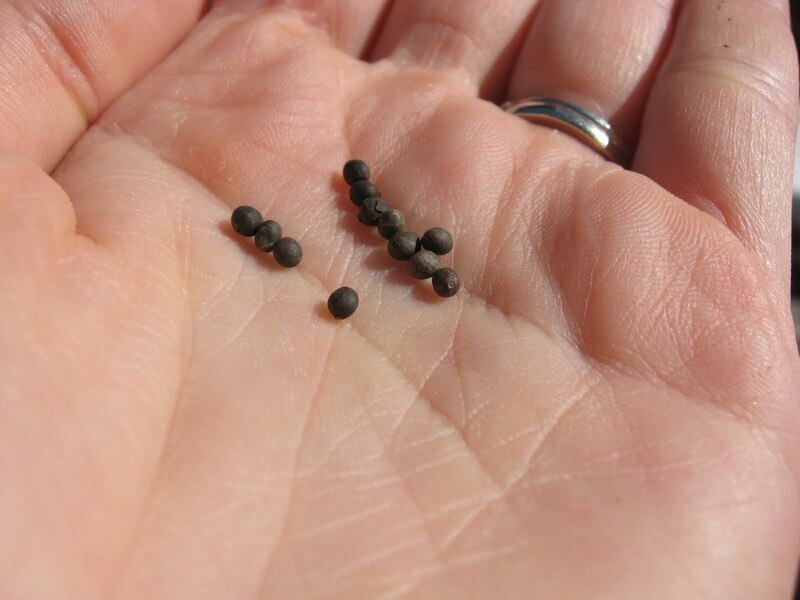 These are the sage seeds, and they were the biggest of the bunch. 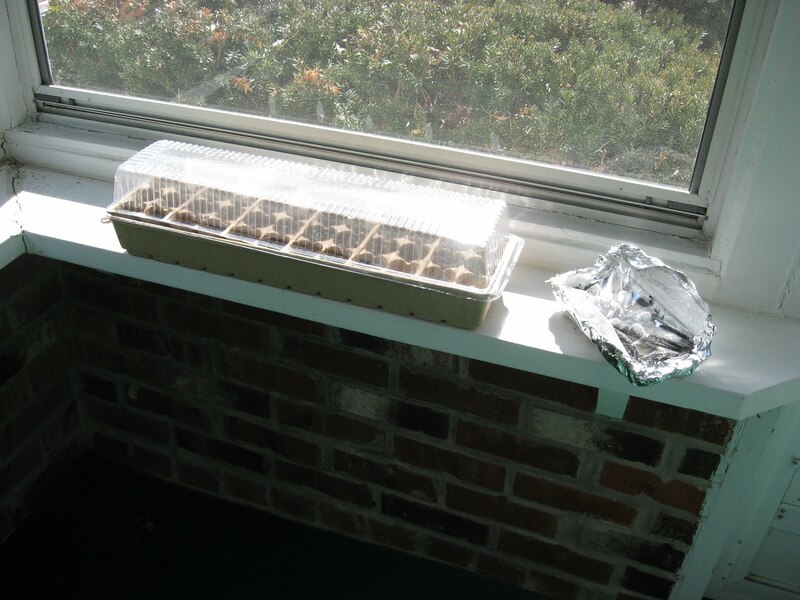 The instructions had me water the soil first, make dimples in the soil with a pencil, and put one or two seeds in each dimple, then cover them with a quarter-inch of soil. This worked well for the sage, basil, and chive seeds, but the oregano seeds were like grains of sand, so I sprinkled a little into each dimple and we’ll see how many I get. The wind blew some of them out of my hand, so I may find oregano growing between the bricks by the deck. 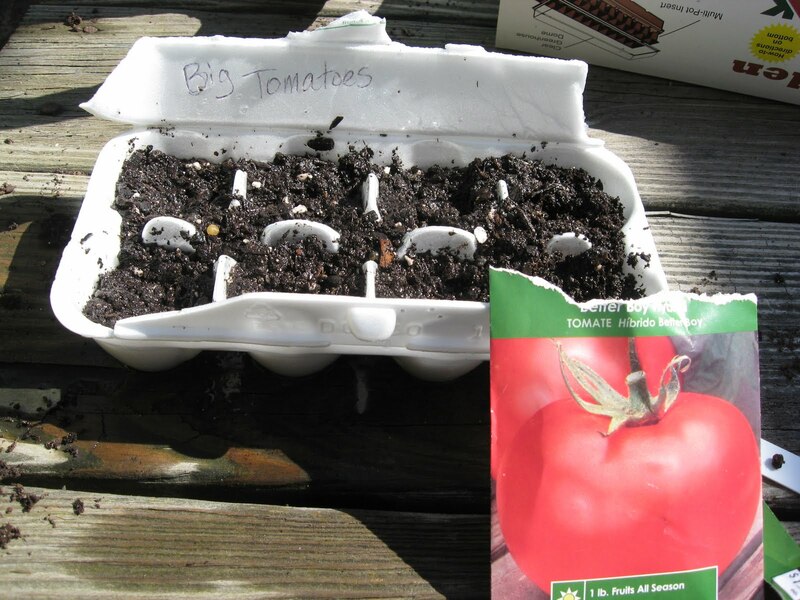 I ran out of spaces in my “greenhouse” so I ended up using an egg carton for the big tomatoes after all. I punched holes in the bottom of each cup for drainage, and then planted the seeds exactly like the others. Note my beautiful labeling. Once everyone was all planted and comfy, I brought them inside to the sun room. I’m not sure I can leave them there because it may get too cold for them at night, but for now it was the sunniest and warmest place in the house. I wrapped foil around the bottom of the egg carton to keep the water in, and covered it with plastic wrap to keep moisture in. Ghetto greenhouse! Now grow, little guys! I have bruschetta to make! This entry was posted in Uncategorized on March 2, 2011 by antijen.